integrated development of an Entrepreneurial culture on campuses. The Entrepreneurial Campus is a program run and initiated by SMEF on the campuses of selected colleges, in cooperation with the Ministry of Higher Education. The program is an integrated initiative designed to develop a culture of entrepreneurship across the campus. The program is run entirely at the cost of the SME Development Fund and will seek to fit into existing initiatives on each college’s campus. Comprising a mandatory 4 to 8 hour workshop, based on videos of young entrepreneurs, entrepreneurship exercise and a final ‘case’ presentation by students. A number of options for structuring the program are available to suit every college. The club would seek to create and sustain awareness, interest and participation in entrepreneurship activities across the campus. Typical activities would be guest lectures, entrepreneurship games, entrepreneurship contests, visits to and by entrepreneurs. The overall activity of the club would be jointly monitored by the college faculty and the SME Fund training coordinator. The day to day affairs of the club would be managed by the students themselves with a view to giving them experience in management and administration. Designed to give students practical exposure to entrepreneurship. The SME Fund would initially provide basic orientation through the Al Namaa entrepreneurship club. Thereafter, seed capital would be provided to students, through the club, to set up small commercial activities on campus. This would be done in conjunction with the college administration and typical student businesses could be a photocopy stall, a juice stand, a mini canteen, etc. 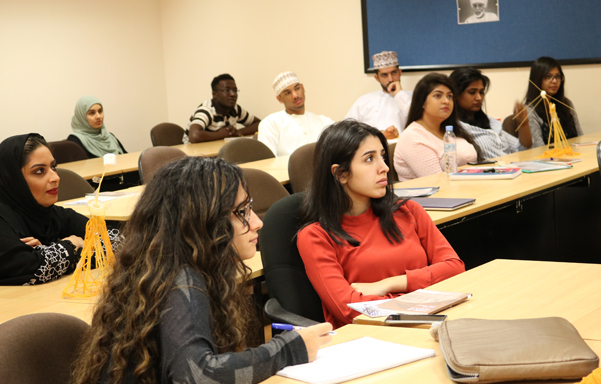 Students would be required to develop and present proposals for the ‘campus company’ through the Al Namaa clubs. Many colleges have faculty trained in entrepreneurship training and mentoring. For colleges that do not, and for colleges desiring further faculty development, SME Development Fund would, in due course provide or subsidize some amount of faculty development and training. Volunteer faculty would be expected to, on a light touch basis oversee activities of the entrepreneurship club and the campus company. In due course, they could teach the advanced course on entrepreneurship which is being developed by the Ministry of Higher Education. The ‘entrepreneurial campus’ would support the colleges’ plans for launch advanced training in entrepreneurship. This could take the form of arrangement of guest speakers, support with faculty development, collaboration on course development as may be specifically agreed with the participating college. 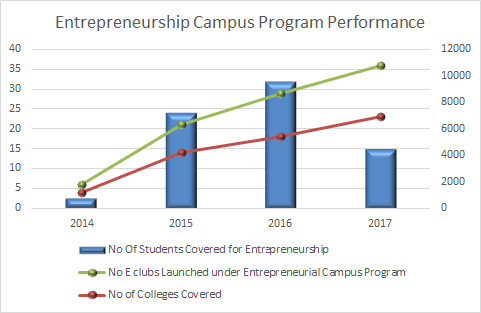 Once the ‘entrepreneurial campus’ is stabilized within a particular campus, a process of Alumni outreach would be initiated inviting Alumni back for involvement with entrepreneurship training and activities on campus, activities of the entrepreneurship club and perhaps limited participation in the advanced module. In course of time, the module that is being designed for senior entrepreneurs would be rolled out for the Alumni of selected colleges as well. Senior Entrepreneur Module is aimed to train senior officers & staff to utilize their long years of experience in entrepreneurship. The 'boot camp' style training includes class work, practical work, exercises and projects and will be supported by leading firms like Denton & Co., KPMG, etc. The class room training will cover business basics like accounting & book keeping, law, marketing, business communications, etc. Major companies will be invited to showcase SME opportunities to the trainees.